“The Chison Q5 stands out within the low-cost ultrasound marketplace for its quality imaging capabilities, portability, and straightforward interface. With its outstanding measurement and analysis packages, physicians can discover versatility for a wide range of quick studies. Furthermore, when conducting studies for abdominal, gynecology, obstetrics, urology, and more, physicians can benefit from the ultrasound screen’s 15-inch, wide-viewing angle as well as the system’s ability to incorporate a variety of transducers. 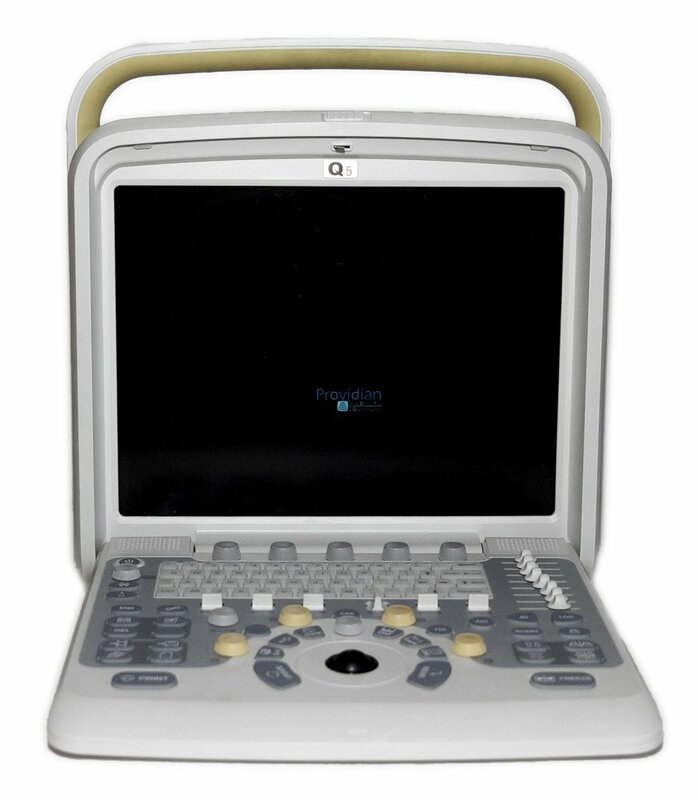 The Chison Q5 features color, PW, Power, and Directional Power Doppler modes, and 4D obstetric imaging is also available. After imaging the patient, physicians can also easily and comprehensively store and distribute the images via the ultrasound’s two active probe ports, 2 USB ports, S-Video and VGA video, and Ethernet out. A workflow-oriented user interface also makes using the Chison Q5 a breeze, as user-friendly operation with minimum soft key entries, as well as its ergonomic keyboard, encourage quicker and simpler operation without the stress and frustration that you’d find in other comparable systems. We found the Chison Q5 to be a solid, reliable cost-effective ultrasound machine. Its versatility provides it with some solutions that simply aren’t available by competitors in its price range.